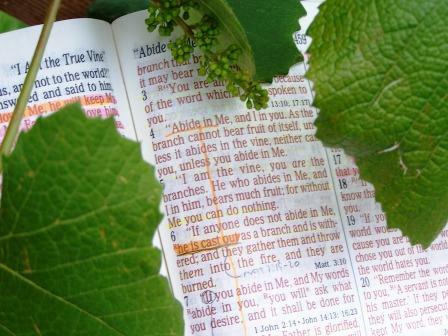 Let My Word abide in you, says the LORD, for it is powerful and penetrating and life giving. It is healing and delivering. Sing My Word. Pray My Word. Speak My Word. Write My Word. Declare and decree My Word. Hear My Word and obey it, says the Lord. Let the wealth of My word penetrate the environs of your own life and be a beacon light that shines in the darkest night. My Word is infallible and will illuminate the path before you. I will honor MY Word, and honor those who live by it, says the LORD. Let MY voice on the inside of you be not only the dictates of your heart, but the dictates of your life. When you hear My voice, follow Me. I will lead you and direct you with My Word, says the LORD. Silence your own thoughts and come quietly before Me. I will speak in the still small voice that is on the inside of you. Come away from the external voices and the screaming circumstances that demand your attention, and focus on Me. I will direct every step you take as you become still and wait upon Me. There are many voices in the world that are wanting to dominate your life, but come away from all of them and listen intently to MINE. I will not lead you into confusion or lead you astray. I will give you calm assurance in time of trouble and you will know what to do, how to do it, what steps to take that I order and have wisdom and knowledge and understanding that comes from ME. Trust My voice on the inside of you, for I Am speaking to you. Will you hear and follow ME? Doing so will not only bring you peace, but great success as you follow My lead and obey My voice, says the LORD.